BIMcollab gives BIM managers, project leaders and engineers the tools they need to collaborate about issues, in their preferred language. To optimize the communication between every stakeholder of the BIM project. Today, 7 of the 10 largest European construction companies are using the BIMcollab ecosystem and the platform helps people in more than 25 countries. Both facts indicate a growing demand for managing the complex BIM communication flows. Eindhoven, Netherlands, February 27, 2018 --(PR.com)-- KUBUS expands global reach and impact. - Visualize and validate complex discipline models. 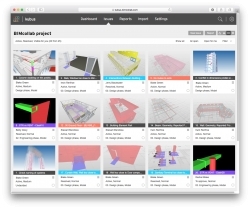 - Share, manage and collaborate BIM issues via the cloud.